cute & funny. . Wallpaper and background images in the KH: Organization XIII club. ^ actually, that's Demyx. 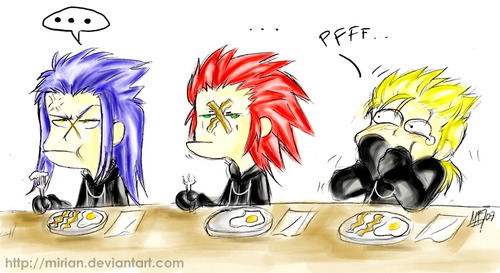 -.-"
Oh im so sorry i thought it was roxas becouse axels his best friend. Im so sorry.